Latest Addition to a Classic Series!! Here is a very special treat for those of you with children or grandchildren! I am excited to present my first review and giveaway, and it just so happens to be the latest book from the Berenstain Bears’ series! 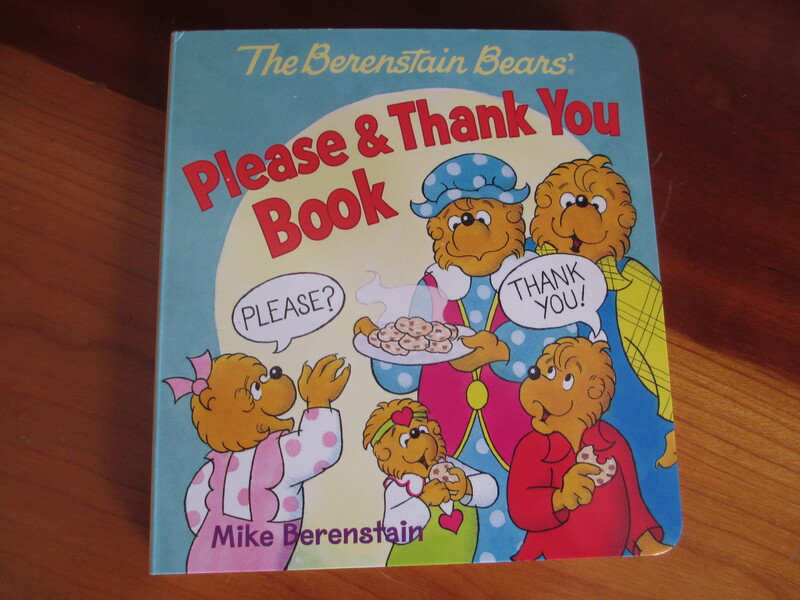 I couldn’t resist this wonderful book, “The Berenstain Bears Please & Thank You Book.” I grew up with the Berenstain Bears’ books in my home. My siblings and I enjoyed the stories, and my parents appreciated the wholesome messages. I have already started a collection for my son, and he loves them too. 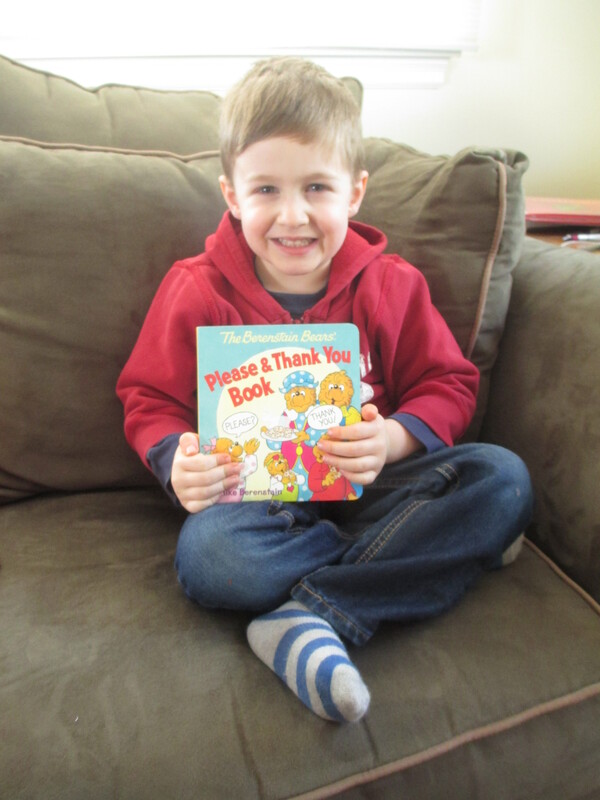 This latest book was a perfect match for him as a preschooler, because it is a board book with fewer words (than the paperbacks) and a very concise message on manners. He is at a great age to begin making some important connections between what he is reading and real-life situations. For example, the day we received our copy of this book in the mail, we had a great learning opportunity. It was post-Valentine’s day, and he wanted a piece of candy. When I didn’t get it for him right away, he sat down on the floor, crossed his arms and demanded chocolate “right now!” (It’s not his typical approach, but let’s be honest, we all feel like that about chocolate sometimes. 😉 Of course, I told him to ask again, using nice words. Then, later, as we read this wonderful book together, we had an opportunity to talk about the earlier chocolate episode. What fabulous reinforcement! The book is simple and concise for the preschool age-group. And, like all other books in this series, it uses the classic Berenstain Bears’ illustrations we know and love as well as the same warm, gentle approach to teaching important life skills, lessons and values. As parents, we all get tired of repeating ourselves. And most of us can acknowledge that our children tend to receive instruction from someone else with less resistance. We need tools like this for teaching…tools that don’t feel like tools to our kids. A book is something they will read over and over again, so the moral becomes organic to their everyday experience and oh so memorable! I must say there are few books I’ve come across for my son that capture good storytelling and powerful and practical Christian ethics like the Berenstain Bears’ books. And as a bonus, they bring back great memories from my childhood. Did I mention he really likes this book? For your chance to win this fabulous book, please enter below! I will contact the winner, and the book will be shipped right to your door. In addition to the books, the Berenstain Bear cartoon series plays on PBS Kids Sprout (TV schedule). Or you and your kids can visit the Sprout website for fun games featuring the Berenstain Bear family. We LOVE the Berenstain Bears! 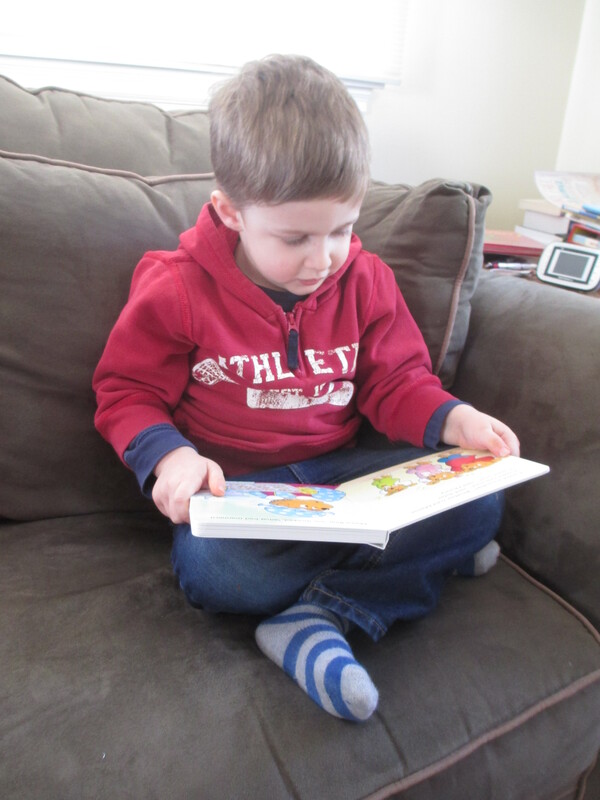 Daniel STILL reads his Berenstein Bears, and Tristan will soon! Looks like a great book that my little cousin will love! Love this series of books! Great giveaway! My kids love the Berenstain Bear!